Our actions speak forth volumes! We brought nothing into the world, and we cannot take anything out of the world! “…we brought nothing into the world, and we cannot take anything out of the world.” (1 Timothy 6:7-See also Ecc. 5:15, Ps.40:17 & Job 1:21). Sobering thought!!! Our lives are like a “vapor/puff of smoke“. Naked and penniless we come into the world and we are buried in the same manner. We are to “number our days” and “redeem” the time for days are few before our death. The flip side is that we are called to “lay up treasures in heaven“. “Do not lay up for yourselves treasures on earth, where moth and rust destroy and where thieves break in and steal, but lay up for yourselves treasures in heaven, where neither moth nor rust destroys and where thieves do not break in and steal.” (Matthew 6:19-20). What are these treasures in “heaven” which cannot be destroyed?—PEOPLE and our acts of SERVICE done in Jesus and for the spread of HIS fame! Let us be about living for the ETERNAL! 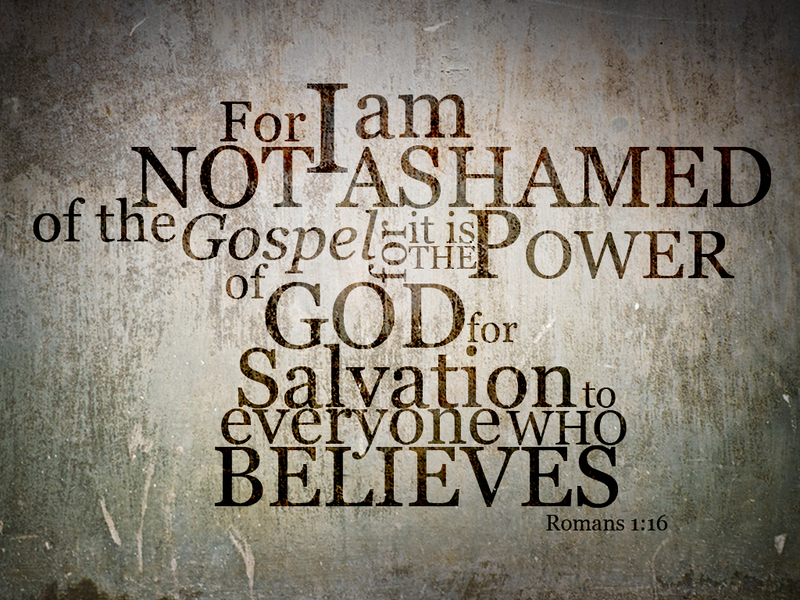 need to be interpreted by the proclamation of the gospel. According to this report inflation in South Sudan was 80% in May and it now has the highest maternal mortality rate in the world. These are only a few of the issues this one year old country faces. Reaching Africa’s Unreached will by God’s grace continue to proclaim the gospel and live out God’s mercy to those in need. Let us pray and work together to make Jesus known here and the surrounding regions! As South Sudan prepares to celebrate the first anniversary of its independence, blogger PaanLuel Wel discusses whether the world’s newest country has lived up to the hopes of a year ago. 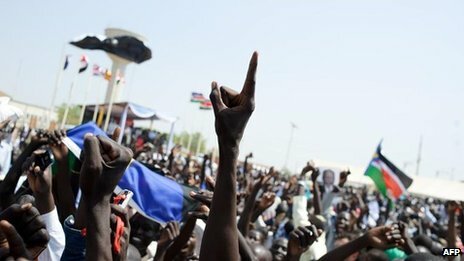 There were great celebrations and high expectations when South Sudan finally seceded from the Sudan on 9 July, 2011. Yet barely a year into South Sudan’s much-hyped independence, the country has failed miserably to live up to expectations. It has been gripped by both external and internal problems that are threatening to tear it apart in its infancy. Nevertheless, there is hardly any regret among South Sudanese citizens for the overwhelming 98% vote they gave for South Sudan’s independence from Khartoum. South Sudan’s independence was greatly welcomed because it not only heralded the end of more than 50 years of bitter conflict between the two Sudans, but also the beginning of political reconciliation among South Sudanese. It was also expected to offer South Sudanese an opportunity to embark on the path of much-needed economic development and political democratization. For the many oppressed South Sudanese, it was to be a new era to finally enjoy those economic privileges, democratic rights and civil liberties that they had long been deprived of by Khartoum. Sadly though, disillusionment, bitterness and uncertainty now reign large and wide across the young country. Two kinds of problems confront the world’s newest independent nation: Unresolved issues between Khartoum and Juba, and internal issues surround corruption, insecurity and the failure of leadership among South Sudan’s ruling party, the SPLM. The contested issues between Khartoum and Juba – border demarcations, the contested region of Abyei, the disputes over oil and the accusations of harbouring and supporting each other’s rebel groups – have doggedly undermined the socio-economic and political development of South Sudan. Disputes have led to deadly fighting in the border town of Jau and the disputed oil-rich town of Panthou/Heglig. The government of South Sudan has done little since independence to diversify the economy and reduce South Sudan’s dependency on oil revenues, currently at 98% of the national budget. Although South Sudan took with it more than 75% of total oil reserves after separation, it still needs Khartoum’s oil facilities and port in order to export it to international markets, yet the two countries have repeatedly failed to agree on transit fees. South Sudan is now calling for international arbitrations over contested borders while Khartoum is demanding that the agreement must be based on the 2005 peace accord borderline, as opposed to the 1956 borders. The stalemate over the negotiations, coupled with accusations of oil theft and arbitrary oil diversion by Khartoum, prompted South Sudan to shut down all oil productions, sending the economy into free-fall. Inflation soared to more than 80% in May. The government reneged on its promise of free university education as crippling austerity measures were introduced to save money. Making matters worse, South Sudan failed to get any short-term loans from international partners to shore up its dwindling national reserves. China, the main buyer of South Sudan’s oil, has refused to fund the much-publicised alternative oil pipeline for South Sudan through Kenya. While the government may not be entirely blamed for all the external problems bedevilling the country, it bears the blame for its internal woes. Since independence, the SPLM has failed to restore law and order within the country. Armed rebellions and inter-ethnic violence – fuelled by alleged political marginalization, vote rigging, cattle rustling and land disputes – is widespread across the new nation. 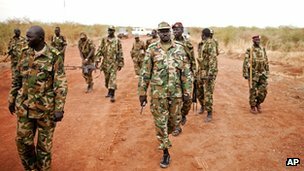 In December 2011, the fighting between the Nuer and the Murle tribes of Jonglei State reportedly killed more than 600 people. Of the 10 states that make up South Sudan, seven of them are directly involved in either armed rebellions or inter-tribal disputes. Moreover, South Sudan has not lived up to its expectations because of rampant corruption and wanton mismanagement within the government. In the wake of the loss of oil revenue, the president was compelled to acknowledge that more than $4bn (£2.5bn) has been lost within the past seven years. Tune in to the BBC World Service at 1900 GMT on Friday to listen to The Africa Debate broadcast from Juba – South Sudan: Has independence lived up to your expectations? For example, about $200m (£128m) was lost in botched grain contracts and a ministry charged with purchasing government vehicles ended up paying an inflated price of $400,000 (£256,000) per vehicle. There is a strong perception that top government positions and job promotions are determined by whom you know, not what you know. The failure by the government of South Sudan to stem the cycles of violence and to eradicate corruption and tribalism has effectively stalled economic development and disrupts social lives. There is hardly any substantial investment in agricultural productivity, social facilities, infrastructure, trade or development. This failure has left more than half of the country’s population at the mercy of abject poverty, chronic diseases and violent crimes. The United Nations Population Fund reports that South Sudan has the highest maternal mortality rate in the world. This is mainly due to the inadequacy of health care and educational facilities in the new nation. 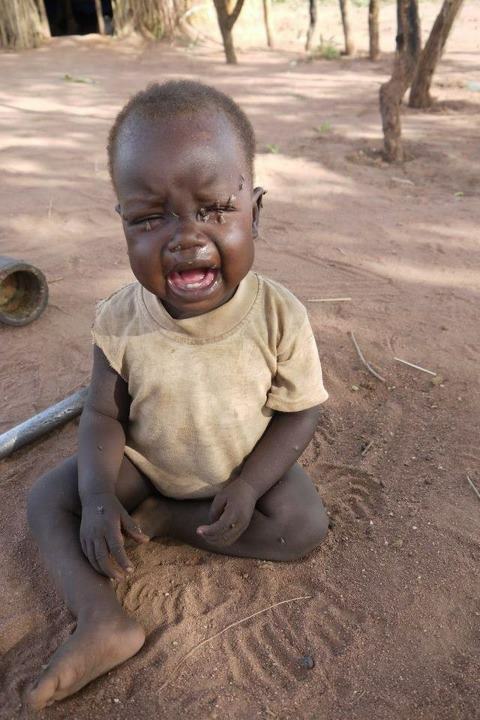 Nonetheless, it is possible for South Sudan to overcome its major problems. The government should diversify the economy to reduce over-reliance on oil revenues, while striving to curb corruption and combat tribalism. Tackling corruption and tribalism would enable the government to invest in sorely needed economic infrastructure and social amenities. Although people’s expectations were not met and despite the fact that South Sudan is being regarded as “a global problem child” in its infancy, the people of the republic of South Sudan are not regretting their overwhelming vote for independence. South Sudanese citizens are grateful that they now have an independent state of their own.